Carl Mazzie received his Juris Doctor degree from Rutgers University, Camden, New Jersey and obtained his Baccalaureate degree from Ramapo College, Mahwah, New Jersey. 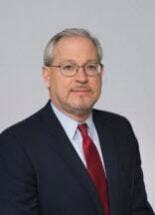 Carl Mazzie joined the firm in 1986 and became a principal in 1989. Mr. Mazzie’s practice areas include all aspects of insurance law and extend into the areas of civil litigation, business practice and real estate. Mr. Mazzie has received Martindale-Hubbell’s highest lawyer rating, (“AV”). Reported Decisions: Scheckel vs. State Farm Mutual Automobile Insurance Company, 316 N.J. Super. 3.26 (App. Div. 1998); Scullion vs. State Farm Insurance Company, 345 N.J. Super. 431 (App. Div. 2001).